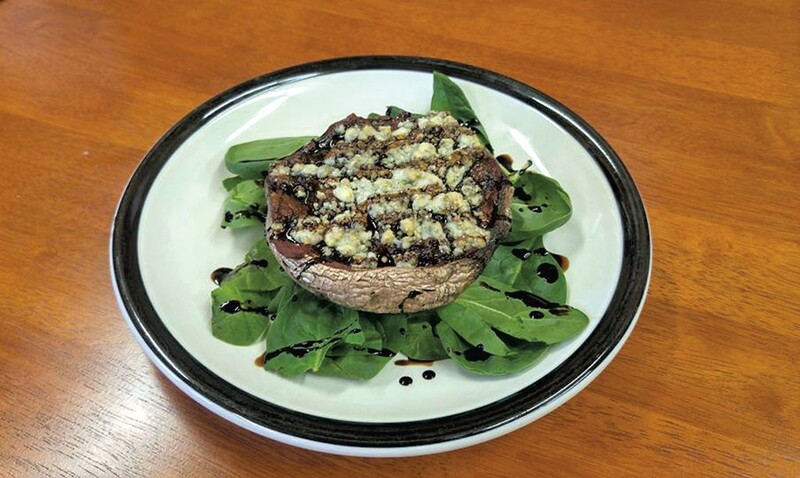 Shroom Full of Blues salad at Plainfield Hardware Deli. Ever walk into a hardware store and wish you could grab a sandwich, too? You're in luck. In April, chef Joe Smith — a New England Culinary Institute grad with recent experience at Northfield's Falls General Store and Montpelier's J. Morgan's Steakhouse — started serving from-scratch deli fare at Plainfield Hardware in East Montpelier. Subs and sandwiches come hot or cold, stuffed with meats that include housemade sausage or pulled pork, corned beef, and smoked chicken. Also on the menu: mac-and-cheese, Cobb and Caesar salads, and ones made with roasted beets or braised, stuffed portobello mushrooms. Smith also serves sweets (think maple-bacon chocolate-chip cookies) and breakfast items, including pancakes, eggs and French toast. "I'd say that, ideally, 90 percent of our stuff is made in-house," he says. "I've run and opened really high-end places, and I'm trying to bring that to the deli scene." Some of the meats, cheeses and produce are sourced from area farms, a practice Smith says he hopes to build as the business takes off and more local producers get wind that he's there. "This community has really welcomed what we're doing, more than I've ever seen a community do that," Smith says. "It's one of a few really unique general stores left in Vermont — you can get hardware and food and pellets for your horses and flowers for your mom during Mother's Day." Plainfield Hardware Deli is open daily from 7 a.m. to 2 p.m. The original print version of this article was headlined "Shop Lunch"